The National Air Traffic Controllers Association filed a lawsuit against the US government on Friday on behalf of its members who are going without pay due to the partial shutdown. Approximately 10,000 air traffic controllers under the employment of the Federal Aviation Administration (FAA) are working without pay after having been deemed essential. The FAA's funding lapsed December 22 when the shutdown went into effect, while Friday was the first day that federal workers went without paychecks. The union said in a statement that its aviation safety workers "remain on the job, dedicated to the safety of every flight, but they don't know when they will receive their next paycheck." Hundreds of airline industry employees gathered outside the Capitol on Thursday, urging and end to the partial government shutdown. Pilots and flight attendants joined unpaid air traffic controllers, whose union confirmed on Thursday morning that they would not be receiving a paycheck for the last two weeks of work. 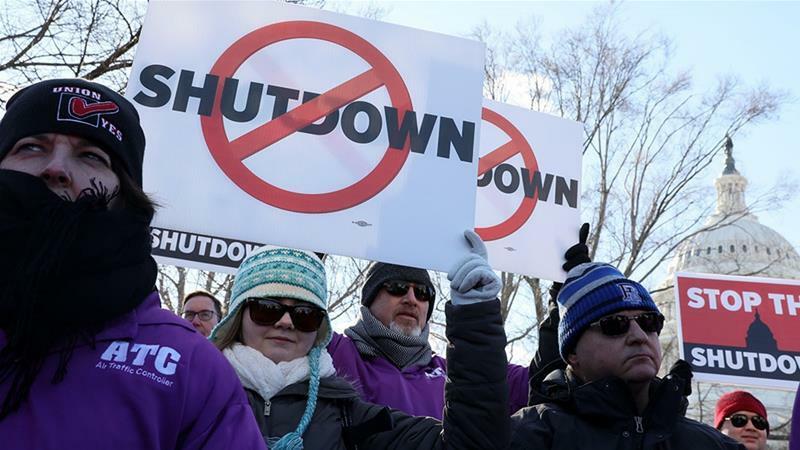 Union leaders representing the controllers and flight crews say the shutdown could threaten aviation safety the longer the impasse between President Trump and Congressional Democrats continues, according to the Washington Post. "We want to make sure we have sufficient, competent air traffic controllers at all times," said American Airlines first officer Christopher Bacon, who is also a representative of the Allied Pilots Association. "The safety implications are obvious, unfortunately, if they’re worrying about a paycheck — if they have other things on their mind other than ensuring they’re giving absolute, top-notch control of the pilots." "And at the end of the day, it’s just complete nonsense," said National Air Traffic Controllers Association president Paul Rinaldi - imploring both President Trump and Congress to end the shutdown. "Zero paychecks are hitting our bank accounts right now," said Rinaldi. "These are real people. Real consequences." Several members of Congress showed up to Thursday's demonstration outside the Capitol, including Rep. Peter King (R-NY) and Peter DeFazio (D-OR) who chairs the House Transportation and Infrastructure Committee. "Over the last two years, I thought, with Mr. Trump in the White House, things can’t get any weirder. And then every day, they get weirder," said Warner. "We’re now approaching the longest government shutdown in American history. And a shutdown based on a request from this president when the Republican Party controlled the House, the Senate and the presidency. What we want to do is end this shutdown today." Of course, funding the wall would immediately accomplish that.